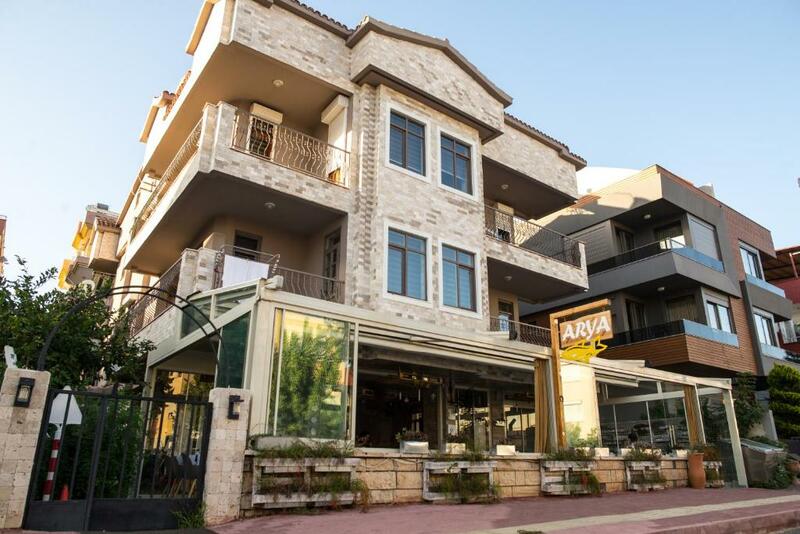 Located 2 miles from Antalya Aquarium and 2.7 miles from 5M Migros, Arya Suits is in Antalya and features a garden and a bar. 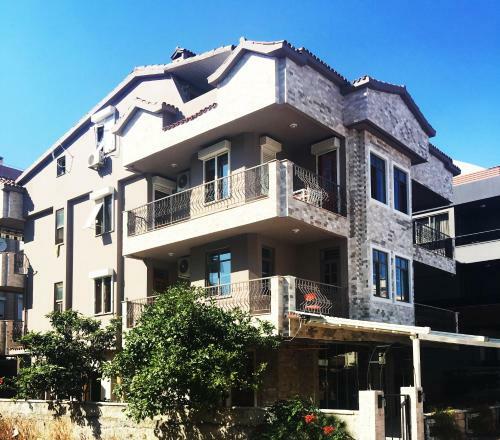 This property is 3.5 miles from Antalya Museum. The apartment has 1 bedroom, a fully equipped kitchen with a fridge, and 1 bathroom with a bath or shower. A TV is available. 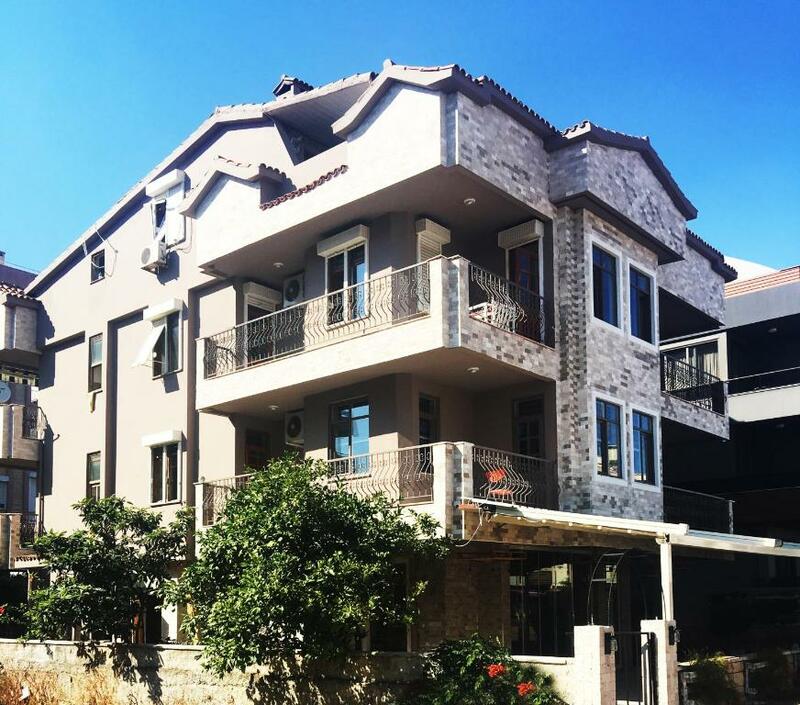 Old City Marina is 5 miles from the apartment, while Hadrian's Gate is 5 miles away. 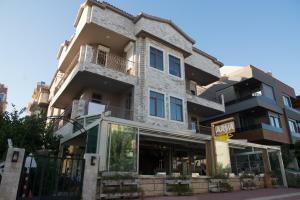 The nearest airport is Antalya Airport, 14 miles from Arya Suits. When would you like to stay at Arya Suits? House Rules Arya Suits takes special requests – add in the next step! Arya Suits accepts these cards and reserves the right to temporarily hold an amount prior to arrival. There is no lift to the apartment. This property was welcoming, nicely decorated and good value for money. The owner brought us some food and a bottle of water when he saw we were very tired after a very long trip - very kind. 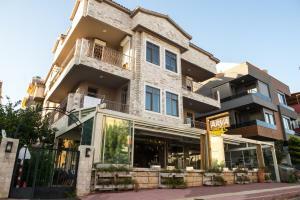 Part of the property is a restaurant with good food and live music at night. The same style of architectural features gave also the restaurant an unique quality. The location is fantastic with local transport, shops and the beach! only a few minutes walk away. Internet sometimes worked bad upstairs. But in Turkey internet problem is widespreaded. Everything was perfect. Extremely nice staff. Everytime we went downstairs they gave us tea coffee fruits as a present. It was very comfortable clean apartments with good location.